"We recommend selection of certified organic soy sauce. For soy sauce produced within the U.S., one of the major reasons we like certified organic soy sauce is the widespread use of genetic modification in non-organic soybeans. Genetically modified (GM) soybeans have reached 90% market penetration in the U.S.
"For soy sauce produced in other countries like Japan, Korea, China, or Indonesia, even though the likelihood of genetic modification might be less, we still like certified organic soy sauce due to the lower risk of unwanted contaminants like pesticides." 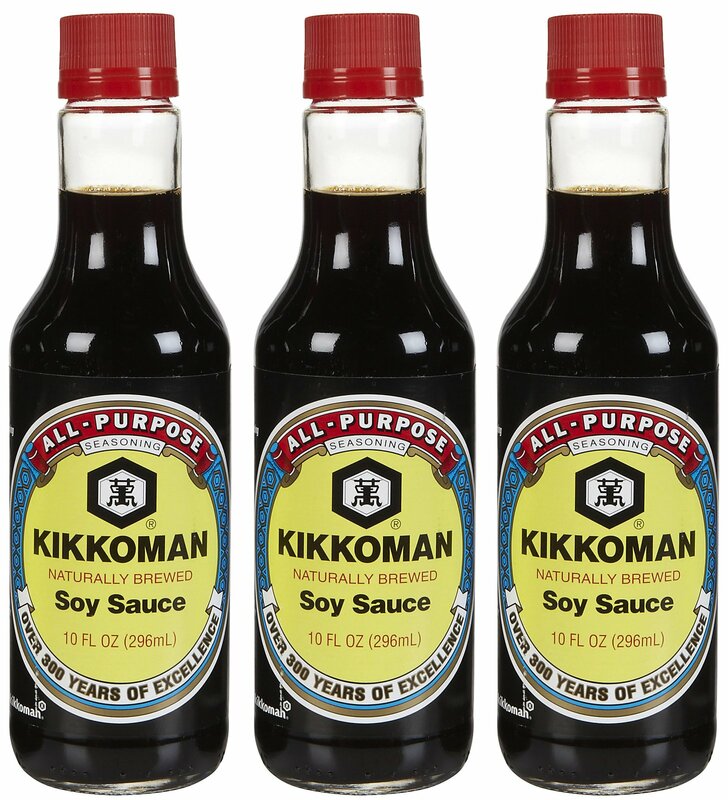 There's (apparently) good news, though, for we who shop mainly at the local chain grocery store: one brand, Kikkoman All-Purpose Naturally Brewed Soy Sauce, is the real deal. I say "apparently" because I'm skeptical: a best-selling national brand, prepared without fillers, "flavor enhancers," emulsifiers, artificial colors and flavorings? In today's industrial-dominated fake-food America, such a high-quality commercial product would be an anomaly. 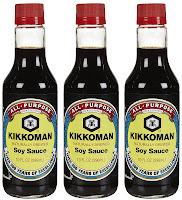 "Kikkoman began exporting soy sauce to the U.S. in the 1800s. In 1972, to meet the growing demand for naturally brewed soy sauce in the United States, Kikkoman opened its Walworth, Wisconsin, brewing plant in the heart of America's wheat and soybean country. In 1998, a second plant was opened in Folsom, California." Kikkoman All-Purpose Naturally Brewed Soy Sauce is not certified organic, and almost undoubtedly uses genetically-modified soybeans. But it's not loaded with corn syrups and other sugars, artificial flavors and colorings, or other hallmarks of fake soy sauce. Very informative. Now I'll know how to avoid the trickery. Thank you! so soy and wheat is better than vegetable protein and corn? Keep writing like this, and you will be well-known in no time.